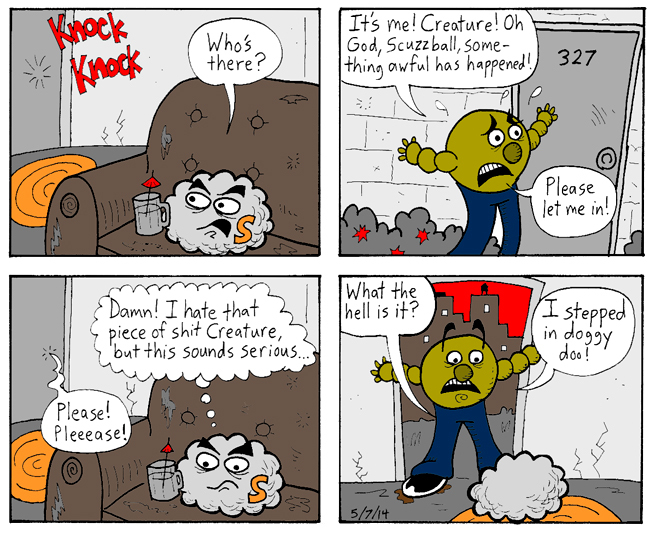 Once again, this comic is written by "Dilapidated" D.F. French, and drawn by me. Speaking of things drawn by me, just yesterday I posted my second drawing for the Seeing Calvino tumblr. It's Tamara, the city of signs. And if you're unsure who these lovable cartoon characters are, check out the Great Jumping-On Point for New Readers.